This pin is a black nickel color metal with two pin parts. 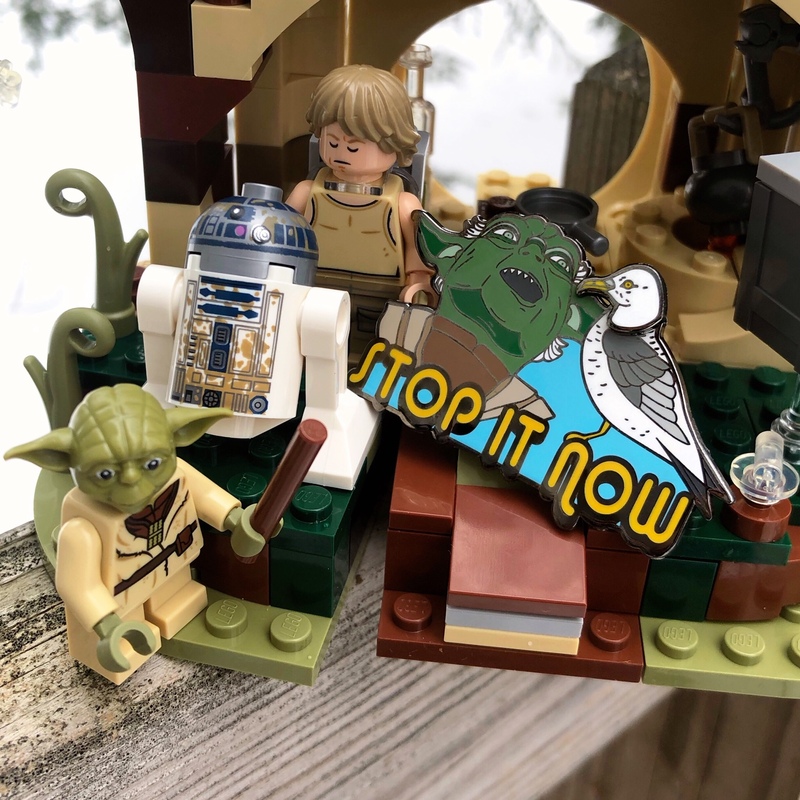 The seagull head can move and “peck” yoda’s head. This pin is about 2” and has two posts on back. It’s artwork based on the comedic bad lip syncing videos. Google seagulls, stop it now. Note:Colors can differ on screens and pin may be slightly different in person. This is a single pin only and does not include any toys or figures.